Popular and myth-sustaining, the American domestic novel – familiar for its stories of small towns, big values, extended family bonds and comings-of-age – is not short of skilled practitioners. But if this is your genre, and you’re in search of a perfect example, look no further than Anna Quindlen’s latest. Set in the eponymous fold of Pennsylvanian landscape, the novel’s core is the long-settled Miller family: mother and father Miriam and Buddy, sons Ed and Tommy, and narrator Mary Margaret, aka Mimi (or ‘corncob’, when Tommy is feeling benign). In an adjoining house, there’s also Aunt Ruth, housebound for decades, the object of Miriam’s scorn and grudging care. Miriam is a nurse, Buddy is a farmer and someone who can fix anything, Ed is upstanding and conventional, Tommy is a wastrel and Mimi will grow up smart. Any surprises here? While Quindlen pays full tribute to each of these individuals and their secrets, not all of which are divulged to the reader, they are nevertheless characters from central casting. Frances McDormand as Miriam, perhaps? 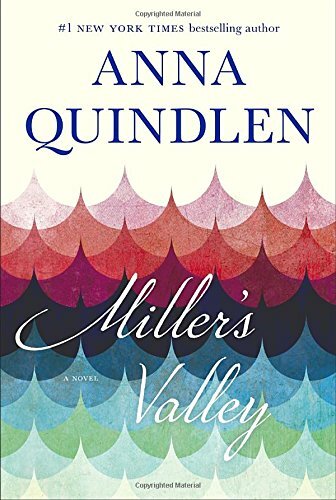 Nevertheless Quindlen brings such devotion, such insightful restraint and expert lucidity to her storytelling that the book is wholly engrossing. The threads of Mimi’s self-sacrificing struggle, set against the larger family’s tale and the valley dwellers’ efforts to resist the loss of their land to a dam project are sweetly dovetailed and the whole reading experience is as simply satisfying as a wedge of warm pie. Friends, boyfriends, disappearances, health dramas, scenes at the diner, unhappy wives, local success stories – the warp and weft belong to the mythology of the flyover states, and also to a paradigm of the US rural landscape in the mid-twentieth century. Yet this is endlessly appealing material. Parents are respected; bad sheep mourned; places called home honored and not forsaken. 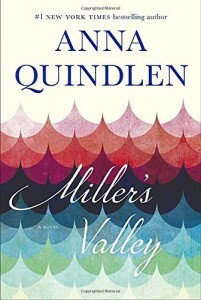 Quindlen taps easily into a pleasing, forgiving American sense of self and does so with affection and the relishable skill of a writer who understands her craft to a T.